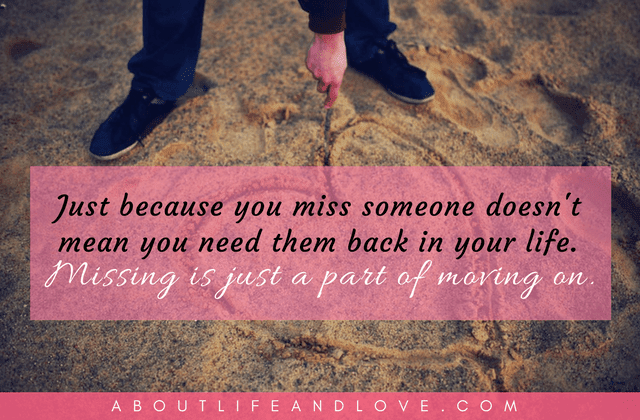 Just because you miss someone doesn't mean you need them back in your life. Missing is just a part of moving on. So true, Lux. I do miss the madness of a certain ex. We could literally finish each other's sentences. But I'm so glad that we are both not in each other's lives any more.